administrative tasks, such as day-to-day practical work in the office, filing and other necessary tasks. administrative tasks, such as day-to-day practical work in the office, filing, and other necessary tasks. Proficiency in using Microsoft Office applications, including Word, Excel, PowerPoint, Outlook. Experience in interacting with public bodies and EU or National Institutions. Strong personal motivation and commitment to achieving goals. 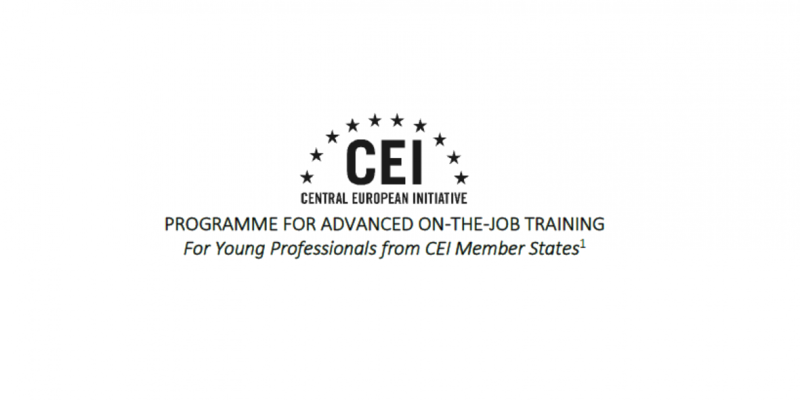 Selected candidates will join the CEI-Executive Secretariat for a period of 12 months. They will receive an amount of EUR 1,650.00 per month as a reimbursement for their living costs. in English to the following e-mail address: [email protected], indicating in the subject the applicant’s full name and the Reference code of the position it is applied for. Please clearly specify in both your CV and motivation letter your relevant experience in the selected area and how you match the requirements.